Each year March 14 is celebrated as Pi Day because of its numerical date (3.14). 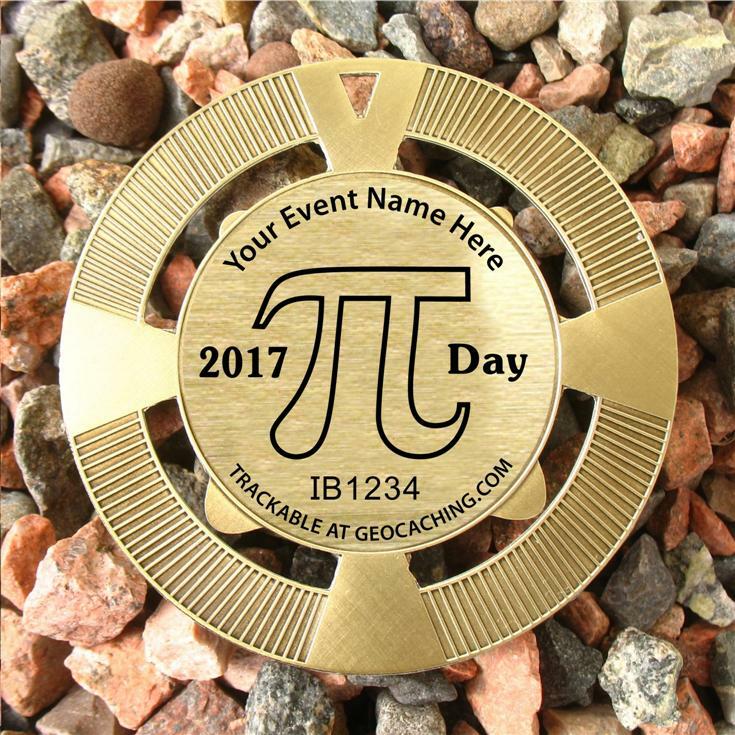 It has become common for geocachers to host Pi day events, and this year I.B. Geocaching Supplies is organizing a group trackable project for event hosts who would like to have a semi-custom trackable for their event. The options are trackable geomedal geocoins, buttons, and keyrings. The images show a mockup of how the design will look. 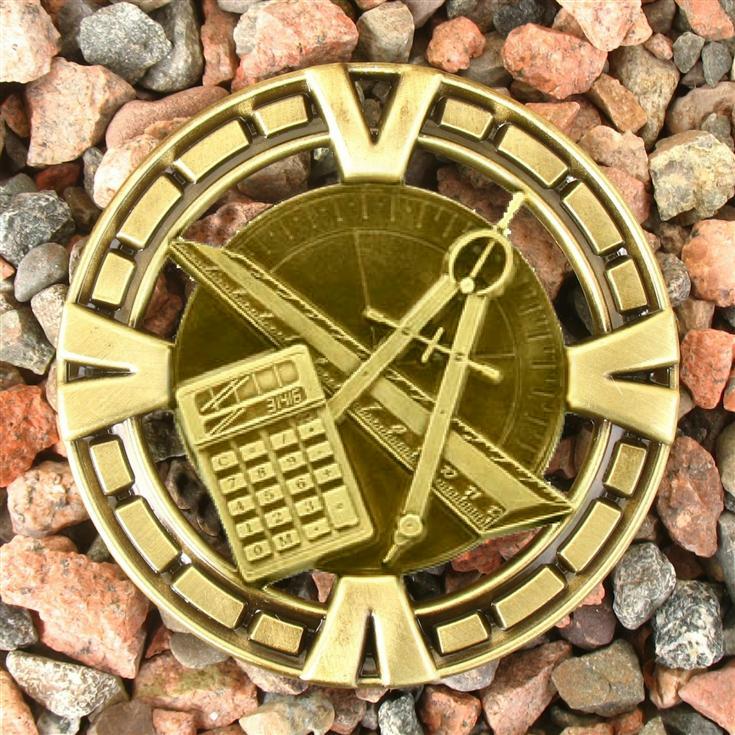 These geomedal geocoins will be 2.5" in diameter with cutouts around the central circle and a hole in the outer ring at the top allows for easy attachment to an object to travel. The finish colous will be antique gold. For those on a tighter budget, Trackable Pi Day Event 1.5" buttons and 1.5" keyrings are also being offered. The tracking numbers will share a common name (e.g. "Pi Day 2017 Event Trackable"), and use the event icon. Shipping cost will depend on the order size and will be estimated in the shopping cart. Orders of buttons, keyrings, or under 10 coins will be sent by regular mail with a normal delivery time of up to 2 weeks. Orders of over 10 coins will be sent by parcel to include tracking and insurance. February 1: Deadline to participate.